Old friends Kevin Walters and Darren Lockyer aren’t on talking terms. QUEENSLAND Rugby League hierarchy have implored Darren Lockyer and Kevin Walters to bury the hatchet over their Broncos bust-up - or risk sabotaging the Maroons' hopes of reclaiming the Origin shield. 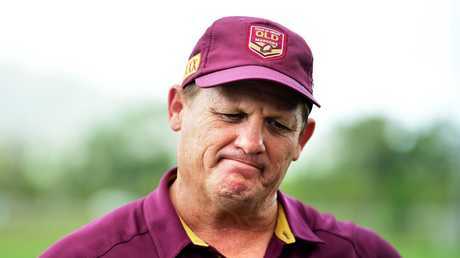 QRL chairman Bruce Hatcher said on Wednesday the Maroons could not afford "any disruptions" and insist Lockyer and Walters must settle their differences for the sake of Queensland's Origin revenge mission this season. 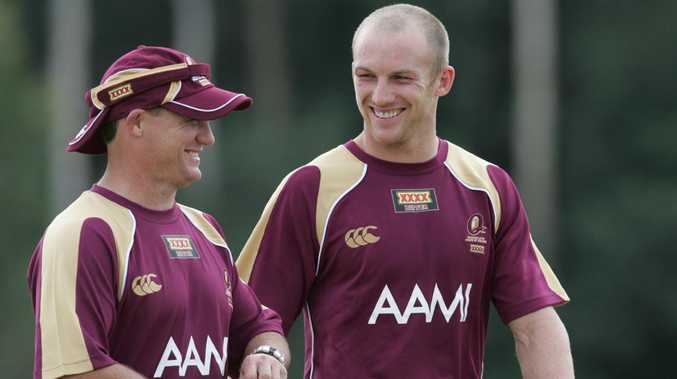 Lockyer made the candid admission on Monday that his long-time friendship with Walters and Wayne Bennett had been soured by the super coach's sacking at the Broncos three months ago. The Broncos legend revealed he has since barely spoken to Walters. That has worrying ramifications for Queensland as Lockyer and Maroons coach Walters are both selectors on a three-man panel that includes chairman Gene Miles. Lockyer was a member of the three-man Brisbane committee which opted for Anthony Seibold as Bennett's successor, in the process overlooking Walters, who was devastated at missing out on coaching his beloved Broncos. With Lockyer and Walters due to meet in the coming weeks to discuss selection prospects for this year's Origin campaign, Hatcher says it is crucial the former Broncos teammates are on the same page. "We need to hit the ground running - we can't have any disruptions," Hatcher said. "The Queensland team needs to be pulling in the one direction and everyone needs to be supporting the head coach and his program. "I haven't spoken to Darren myself and if there is bad blood, I'm not aware of it. "But I will say this - we expect those employed within the team environment to work with the leadership to achieve the best outcome for the Maroons, it's as simple as that." Hatcher says he has not personally spoken to Walters for his appraisal of events, but Lockyer said on Monday: "There is strained relationships with both individuals (Walters and Bennett). 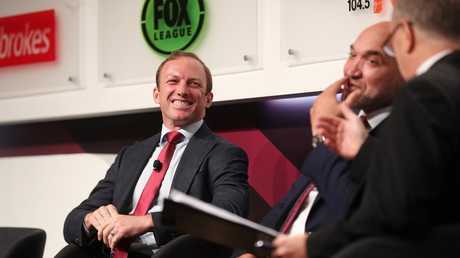 The Courier-Mail's Robert Craddock speaking with Darren Lockyer and Gordon Tallis at the 2019 NRL Season Launch. Pics Tara Croser. "We are not on great speaking terms, but I wouldn't expect us to be on great speaking terms with the way it all unfolded. "It is done now and we all have to move on." The Blues are hellbent on creating an Origin dynasty after last year's 2-1 series victory and will happily exploit any chinks in Queensland's armour. "Darren is a selector and Kevvie is our coach, so they have critical roles in our campaign," Hatcher said. "As selectors, Darren and Kevvie will have to be talking and working together. "Darren is a key part of our program. The only potential conflict I saw was that Darren was a board member of the Broncos and the Broncos board had to endorse their new coach and Kevvie missed out. "I'm sure Darren and Kevvie have known each other long enough to sort things out. If there is any issue, our expectation is that they will resolve it and focus on winning the Origin series for Queensland." Queensland Origin legend Billy Moore hopes Lockyer and Walters will smoke the peace pipe. 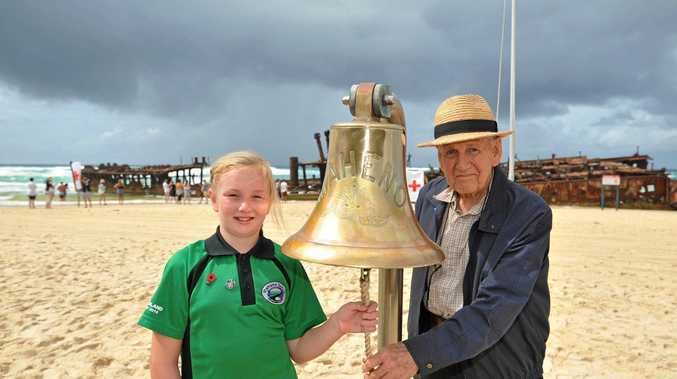 "The teams are so close that just a 1 per cent shortfall can make a difference," Moore said. "Queensland needs Kevvie and Locky on the same page for us to win the Origin series. "Please sort it out boys."